Join wire jewellery expert and serial author Linda Jones on a journey in to the wonderful world of wire jewellery in this creative introductory class. 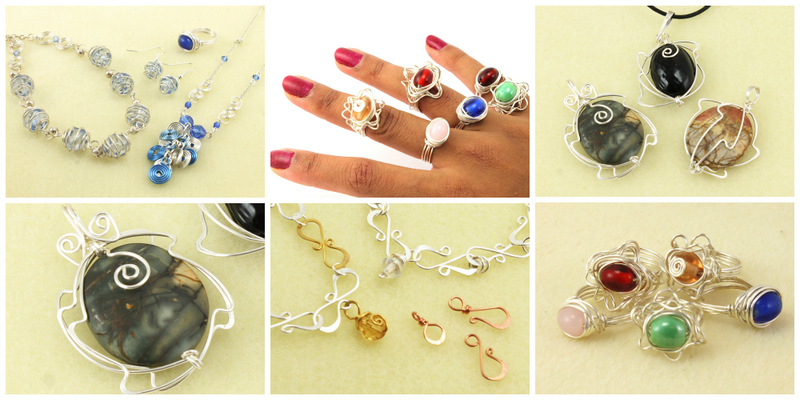 Learn about all of the tools and materials used before moving on to making a range of wire components and completed wire jewellery; rings, bracelets, necklaces and earrings. The techniques covered in this course form a great foundation for developing more advanced wire jewellery skills but also equip you with everything you need to make professional quality sets of beautiful wire jewellery from home. Linda is an internationally renowned, UK based jewellery designer and teacher specializing in wire jewellery. She has been making for over 20 years and has 8 published project books to her name as well as an instructional DVD. Alongside teaching Linda exhibits and sells her work nationally in shops, galleries and shows. She has been a contributor to jewellery making magazines in the U.S. and U.K. over the last 15 years and she also runs The WireWorkers Guild, a free forum for wire jewellery enthusiasts.